Beginning 2018 - This position will qualify for free entry into either the Monster Mash 5k/10k, Veterans/1st Responder 5k, or Dyn-O-Mile; or a 50% individual discount into the OV Sprint Tri/Du for the following year. Beginning 2018 - This position will qualify for free entry into either the Monster Mash 5k/10k, Veterans/1st Responder 5k, or Dyn-O-Mile; or a 50% individual discount into the OV Sprint Tri/Du the following year. 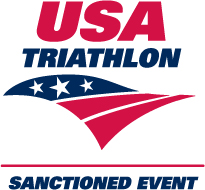 Volunteers at this location will help guide athletes from the pool into transition, at the mount/dismount line for the bike course, and direct runners out of transition onto the run course. Volunteers will help remove mesh fencing from crowd control barriers and roll up, tear down bike racks, roll up carpets on swim course. 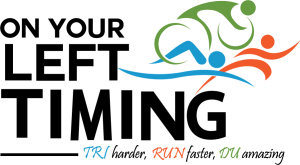 Beginning 2018 - This position will qualify for free entry into any of OYL events (OV Sprint Tri/Du, TriZona, Monster Mash, Veterans/1st Responder 5k, or Dyn-O-Mile) the following year. We need two cyclists to ride with the youth mini tri athletes - One leader and One sweeper. The mini tri athletes complete one loop of the bike course - 7.15 miles. We need 2 Youth Mini Tri Runners - One run Leader and One run Sweeper. The youth athletes will run one loop of the adult course - 1.5 miles.